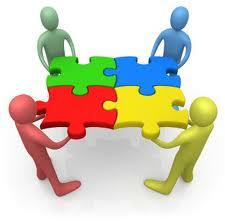 There’s a song that we sing sometimes at my church where we join hands as a family and sing “I need you… you need me. We’re all a part of God’s body. Stand with me. Agree with me. We’re all a part of God’s family.” I thought of this song as I was reading the devotion for Day 15 of my fast. We sing it but do we truly believe it? There are things that happen in life inside and outside of church that have caused us to harden our hearts to people. I know that I have fell victim to the “All I need in life is Jesus” mentality and although He is the most essential part of my life, I’ve matured in knowing that I need others as well. God is people minded. He values community and unions, hence the significance of marriage. 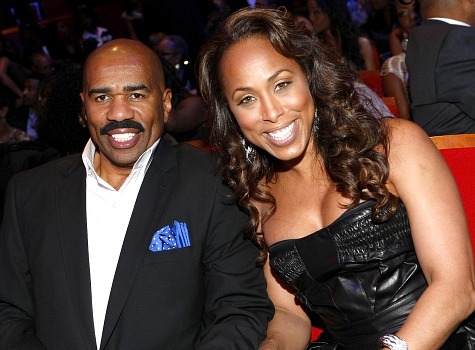 In this month’s issue of Essence, there’s a great article about Steve and Marjorie Harvey. Now, I know some people may have some hang ups about the advice that Steve offers but there were some points made in the article that made me appreciate the couple for their commitment to each other. “Initially Steve didn’t want to get married because he wanted to wait until he was financially strong,” Marjorie says. “But we talked about it and I said, “Let’s just get together, and whatever we have to do, we’ll do it together.” …What I took from this was that the person for you will not worry about what they can get from you but what they can gain with you by working this thing called “life” together. Real love is selfless and in the selfish world we live in, it’s no wonder why it seems impossible to find. “Women are ultimately God’s gift to men, Steve believes, “and what a man must do is line himself up with his Creator if he is to receive the gift.” ~ Steve Harvey … Ladies, no matter how much he says he has a relationship with God, give it time and the truth will soon reveal itself. Don’t get too excited just because he can find Genesis in the Bible. Let his character show itself before you start planning a future with the dude please! “… I could keep my hands closed and hold on to everything I had, and nothing would change. But sometimes you have to just let stuff go and step out on faith. If you don’t open your hands, nothing can come in or go out.” ~Marjorie Harvey … Now this struck a cord with me. When you’ve been hurt you want to hold tight to everything most importantly your heart. Though I know the importance of guarding your heart, we can be so fearful and untrusting that we push people away before anything has a chance to take off. Holding on to what you can control will leave you alone for a very long time. We must learn how to discern people and let go. The happiest people are ones that have a strong support system in a wife, a husband, a grandmother, a father, a mentor, a coach… somebody! Find someone filthy rich with all the luxuries of life but without any true friendships or family bonds, you will find a very broken individual. I recently had a discussion about what it means to be someone’s “helpmeet.” My stance is that God brings a woman into a man’s life to aide him in his call for his life… not to do it for him, not to take the place of God, nor to take control. The woman God sends will have something specific about her that will propel him further than what he could ever reach alone. It’s not that Jesus isn’t the source. As long as He’s the source for both of them then they’ll never rely more heavily on each other than they do Him. So the idea of having to do it all alone when God blesses us with unions to assist in the journey is counterproductive. We can’t continue to camouflage our trust issues and fears with the notion that all we need is Jesus. His Word says otherwise. What would be the point of discipleship if all we needed was Jesus? The correct statement is: We can’t have everything we need without Jesus. But I don’t want to get caught up on just romantic unions. We as believers must understand the importance of coming together and using our gifts collectively to help advance the message of Christ and not always in the traditional sense. There’s poets, painters, authors, film directors, social workers, etc that can connect; with God being the center of their focus, to reach so many more people than they could individually. Yes, the physical church is important but we often get caught up in using it as the only example of what is meant by “the Body of Christ.” Similar to how the hand benefits from the abilities of the eye and the foot benefits from the knee. We can’t get so caught up in our individual callings that we don’t seek out to assist one another or partner with others to advance our net. Just as much as you need people, understand that people need you. You have a gift, you have a voice, you have an assignment that is uniquely your own and people are waiting on you to walk in it. You’re important to this world so don’t give up on yourself… we need you! I decided that my blogs for the month of February would be all about love…wellllll, you all know I write my blogs in advance and this morning I really wasn’t feeling this message. I BELIEVE it, I just wasn’t feeling it… BUT we don’t walk by how we feel, we walk by what we believe so with that honest truth… check out my latest blog! It’s Tuesday with Bianca! Make it great!